I've finally finished this little goldendoodle that I've been working on for a few weeks. I've had a great deal of life coming before my work lately, but some things take priority. 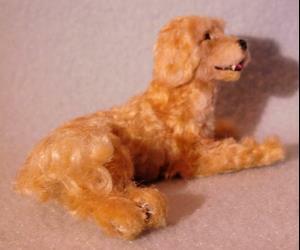 I wanted soft golden curls for this one and so decided to curl the fiber myself, that took some extra time. 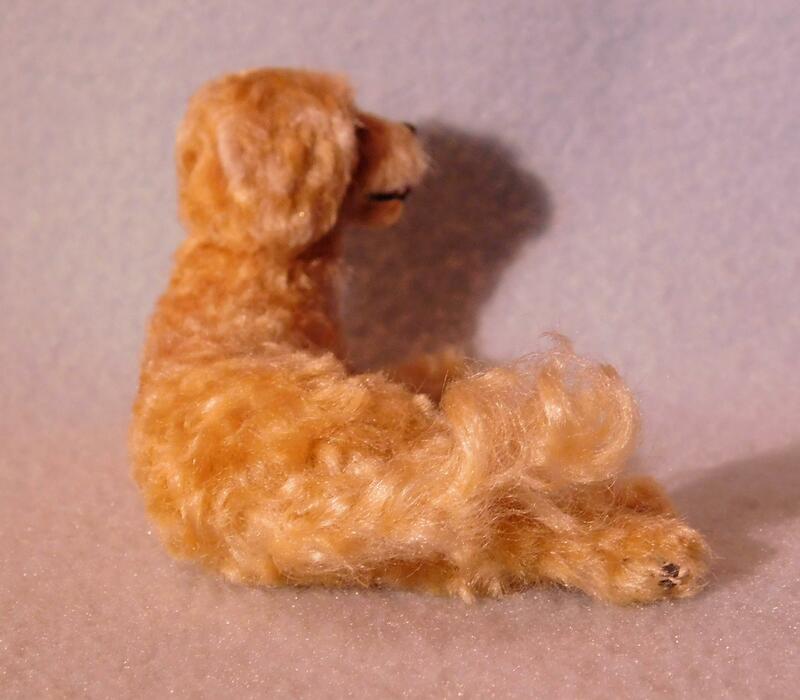 I first carefully sculpted him in polymer clay, painted the details with acrylics then applied the curly golden silk fiber one curl at a time until finished. 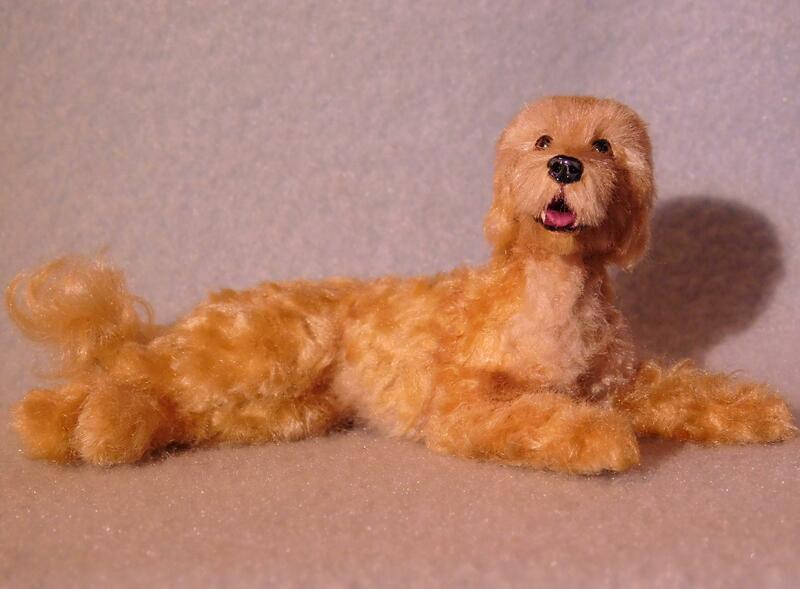 I made the eyes in a separate process and cured them into the sculpture giving him a lifelike appearance. This comes with an original digitally signed certificate of authenticity that may be verified through the ebsq site. 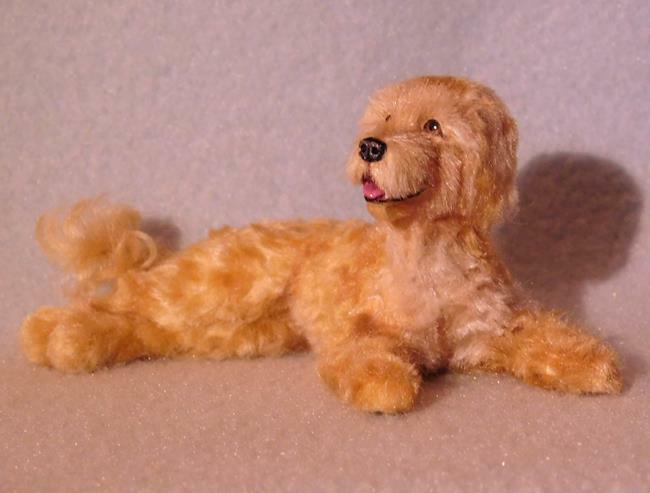 This would make a great addition to your original mixed breed dog dollhouse collection!